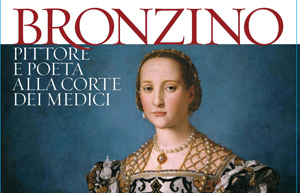 The exhibition Bronzino. Artist and Poet at the court of the Medici is held at Palazzo Strozzi from September 24 to January 2011. In 16th century Florence Bronzino was an influential painter. Not just because he was the official portrait painter of the court of Cosimo I, but also because he mixed with all the great people of his time: Pontormo, a dear friend of his, Benvenuto Cellini, Baccio Bandinelli and �il Tribolo�. This event is a first, as no one had ever devoted a monograph exhibition to this painter before. 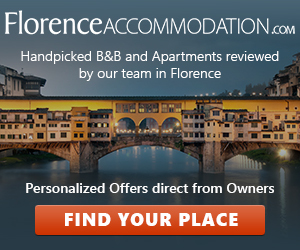 Now Florence has decided to set up one and in a way the town is a sort of �scattered� museum, as it holds works of the artist in many important locations of Florence. The exhibition will present ninety works of the artist, seventy of which are paintings that comprise almost all of his artistic production. Some of the works are very well-known, such as the beautiful, melancholic face of Eleonora of Toledo, the Spanish wife of Cosimo I, which was also chosen as the central piece of the exhibition. Other works are less well-known, either because held abroad or because this is the first time they are displayed, as in the case of the three works the Crucified Christ, St Cosmas and Christ Carrying the Cross. All the works displayed have undergone restoration, which made colours and expressions particularly vivid and bright, along with the details of the dresses of the characters represented. As in the case of all thorough restoration works, the operation revealed small details regarding items drawn and then deleted by the artist. The exhibition then continues outside the building, leading visitors (thanks to the special pass and theme-based map) in locations in Florence hosting Bronzino�s works: the Basilica della Ss Annunziata, San Lorenzo, Santa Croce, Santa Felicita, the Accademia Gallery and the Uffizi Gallery, Palazzo Vecchio (which hosts the fully-frescoed Chapel Eleonora of Toledo) and the Stibbert, Bardini and Siviero museums. A Bronzino Pass is given with your ticket and can be used for discounts on tickets to visit some the places mentioned above. The exhibition also features dedicated learning activities and workshops for children, along with Family days on Sundays to spend some time in a creative way and bring children closer to our artistic heritage. The exhibition is open every day from 9am to 8pm, from 9am to 11pm on Thursdays. Entry to the event is � 10 (full ticket). Free admission for children under 6. Concessions: 7 -18 yrs � 4, schools � 4, groups � 8.50 and various discounts for affiliated programmes.